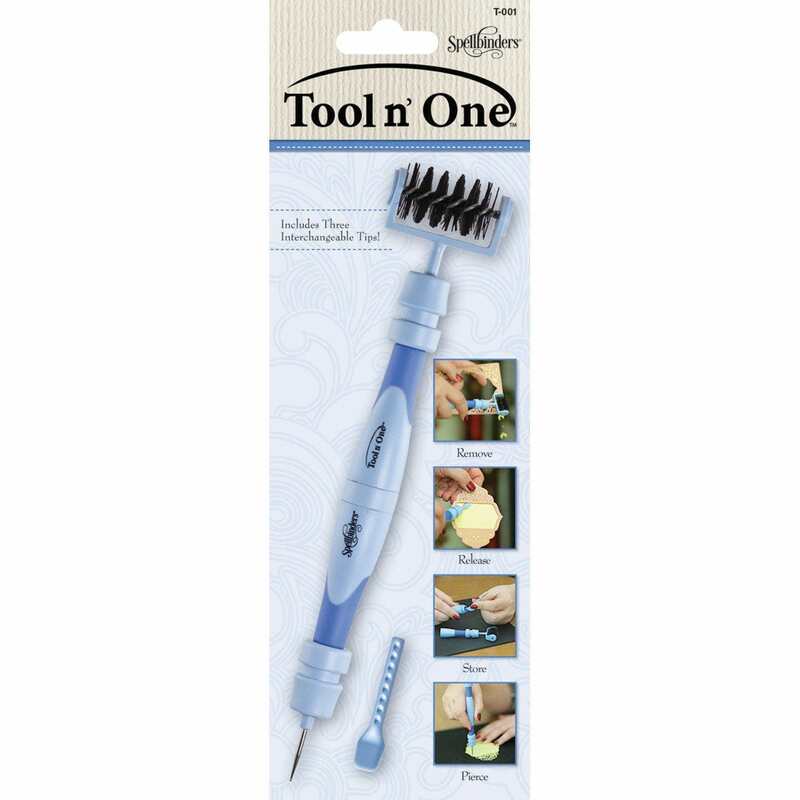 Spellbinders® Tool 'n One is a Crafter's dream - all your tools at your fingertips. 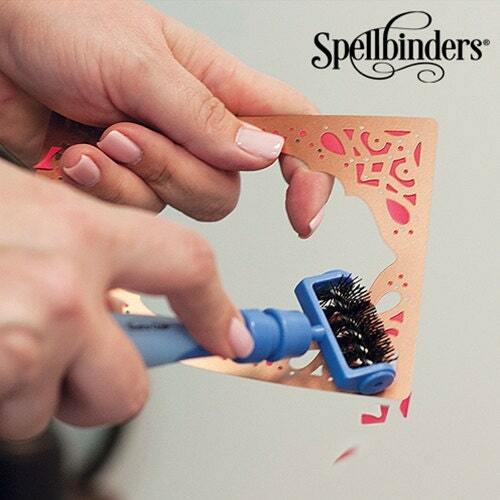 It is a portable tool that performs multiple craft functions, including piercing, paper removal and many more! In addition, it provides a unique storage solution. The Tool 'n One attachments are housed within the pod of its main body. 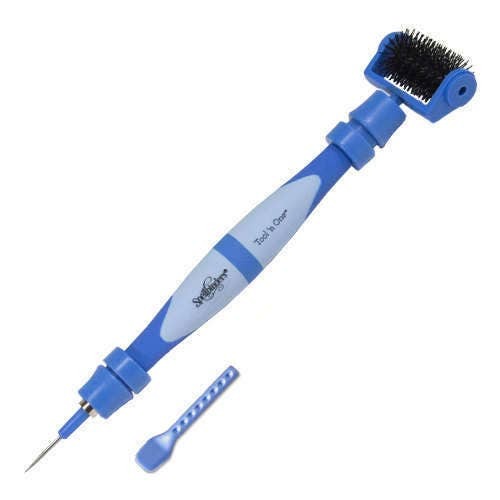 The tool easily crosses over for other hobbyists using small pieces and parts such as airplane models and miniature houses. 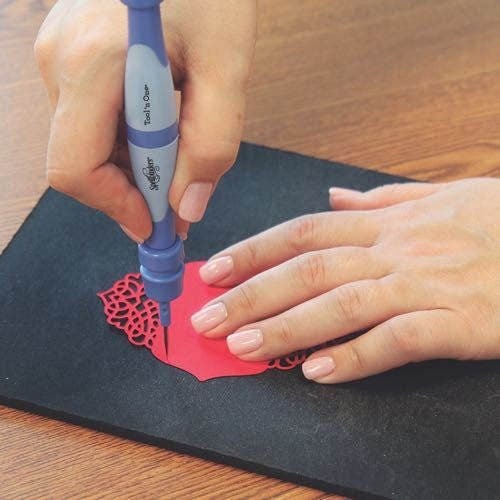 We also offer Stylus tips for those who wish to create dimensional flowers and to dry emboss through our die templates. More options are available from brayer to quilling tip and more - be sure to check out the Tool 'n One section of the website.